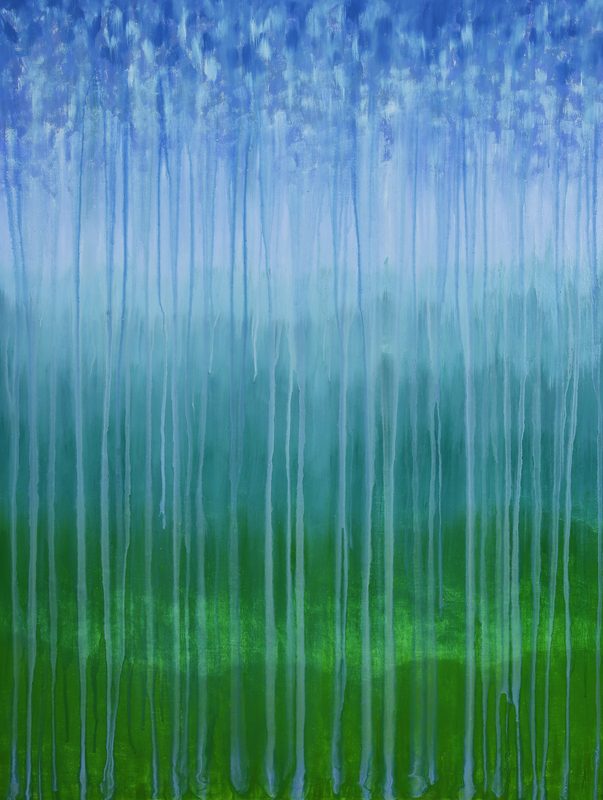 ©Rachel Brask, Rainy Moment 08 (Forested Mountains in Rain). Oil on canvas, 40″x30″. After a road trip through the Adirondack Mountains, the artist was inspired by the atmospheric changes in the colors of the mountains and how the sky and horizon eventually became indistinguishable from one another, even more so when it rains.